Why get soaked in boredom this weekend after a long tedious week? PML Daily brings you Kampala’s fun-packed events that you should attend. For the lovers of Lingala, this Friday has got you sorted at Serena Hotel with Congolese artist Awilo performing live. Go ready to shake your waist as you have a rendition of old Lingala songs such as ‘Karolina and Mondongo’ among others. 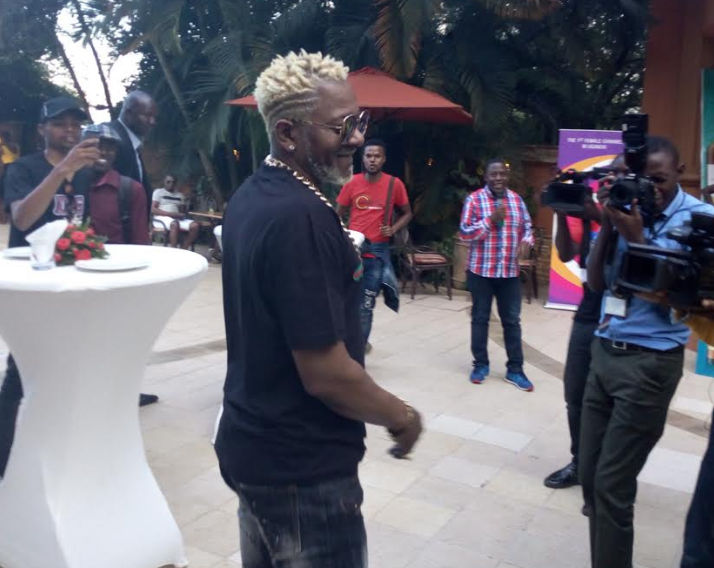 The show will feature Levixone, Cindy, Kenzo, and Jackie Chandiru among others. Entrance for the show is only UGX100,000 (ordinary), UGX400,000 (VIP) and a table will go for only UGX4m. Happening this Friday, April 5, is the Junior Swimming competitions at Gems Cambridge International School in Luzira. The game is aimed at showcasing the talent and also meeting and interacting with other professional swimmers all over East Africa. Malengo Foundation will be launching the Girl 50-50 Forum and also honouring exceptional women with disabilities that have excelled in various fields. The event will start at 1:00 pm to 6:00 pm at Mestil Hotel, Nsambya. Are you a fan of poetry? If so go to the Rooftop Club at Kisementi this Saturday, April 6, as Ssekajja launches his two books. Entrance will be UGX 20,000 only. Let’s all be there and share our experiences! Go be part of this noble cause by matching to create awareness about drug abuse that has become a challenge amongst the millennials. The converging point will be at Centenary Park on Saturday, April 6 and T-shirts, drinks and music will be available for free. See you there! Happening this Sunday, April 7, is the Art in Me Festival at Uganda Museum in Kitante. The family day out brings together school children and youth groups to showcase their art in the various disciplines such as painting and dancing, among others. Entrance for the show is UGX5,000 only for children and UGX10,000 for adults. The biggest awards for teenagers is back this Sunday, April 7, at Skyz Beach, Freedom City. The cover charge is only UGX 20,000 (ordinary), UGX200,000 (Silver), UGX500,000 (Gold) and only UGX3M for a table. This Sunday, April 7, will be the Good Deeds Day and it’s all about giving, volunteering, lending a hand and charity to help uplift the communities we live in. It will be at Bukasa playground, Bweyogerere.